Will Timberlake – Your Local Tree Surgery and Grounds Maintenance Service covering Dorset, Hampshire and Wiltshire. Click here to view the range of services we can offer! Tree & Hedge surgery including individual hedge trimming, or fruit tree pruning to the largest whole tree dismantle or section fell. In the unfortunate event of an emergency we offer a 24 hour, 7 days a week emergency call out service. Please call Will direct on 07984539593. We aim to fit your quotations, and work around your daily schedule and can provide early morning or late evening quotations. Get in touch for a free no obligation quote. 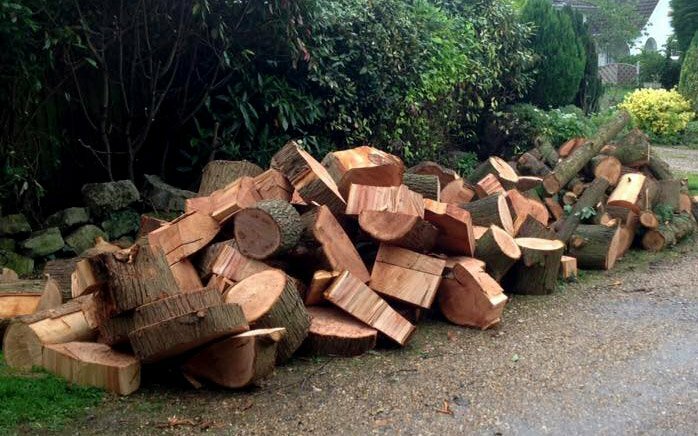 TIMBERS TREE CARE IS A PROFESSIONAL, AFFORDABLE AND RELIABLE WIMBORNE BASED TREE SURGEON AND GROUNDS MAINTENANCE SERVICE PROVIDER. 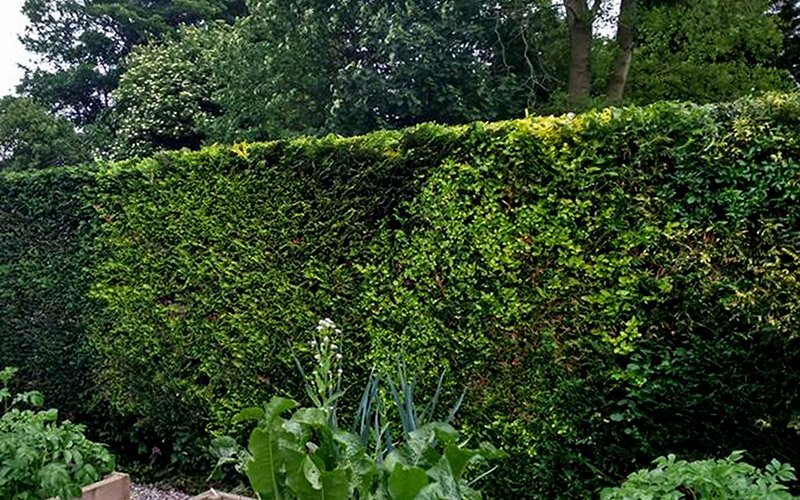 We offer a professional tree and hedge care service throughout Dorset, Hampshire, Wiltshire and Somerset to both domestic and commercial clients. 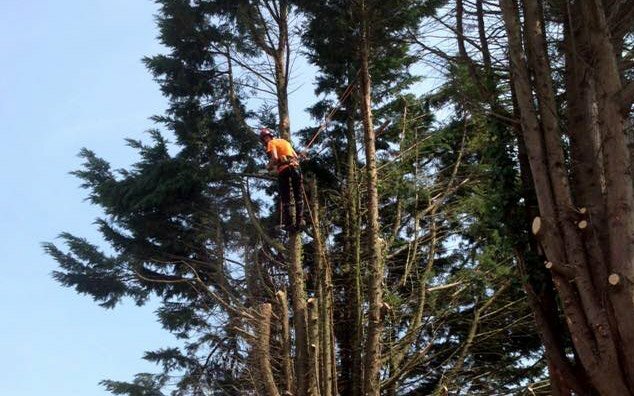 Using a mixture of modern and traditional tree surgery techniques, backed up with a vast knowledge, expertise and experience you can rest assure and trust our services. Work site safety for our team and customers is paramount. As this is so important to us we are proud to announce that we carry a professional £5,000,000 public liability and £10,000,000 employers liability insurance. As well as having appropriate insurance policies in place all of our staff are NPTC City & Guilds qualified. On every job site at least two members of staff are First Aid Trained. Following industry standards all of our work is carried out in accordance to BS3998: British Standard. We aim to provide a Free No Obligation Quotation following an onsite visit within 1 day. Will Timberlake (Level 3 Dip Arb), proprietor of Timbers Tree Care provides quotations 7 days a week. Will aims to fit your quotations around your daily schedule, providing early morning or late evening appointments to suit you. In the unfortunate event of an emergency we can respond to your call by offering a 24 hour, 7 days a week emergency call out service. Please call Will direct on 07984539593. Our garden has been transformed, our apple tree & hedges had all grown out of control & within a few hours of hard work it all looks amazing!! Would highly recommend Timbers Tree Care, a very professional service! This is just a quick note to say thank you for undertaking the conifer and lilac removal for us last week. You arrived on time and with all your equipment ready to go, and the four trees were taken down (and taken away!) speedily and efficiently. And you left the lawn and the whole working area spotless afterwards. So thank you. I would have no hesitation in using you again, or recommending you to anyone. Will and his team did some major pruning and crown-lifting on a mature oak tree in my back garden. Will did a superb and professional job (I use neither word lightly). He worked very hard, going the extra mile to ensure that every part of the tree was attended to and to ensure that I, the customer, was satisfied at every stage with what he was doing. It was a pleasure having Will on site. The tree looks lovely now and Will cleared up well afterwards, even to the extent that he removed all the leaves on my lawn, saving me the job! I wish all workmen were as good. Thank you Will and team for providing such a high level of work. My apple trees now look really nice now they have had their much needed reduction! I would definitely recommend you to anyone for your professional work, excellent tidy up and courtesy. What excellent service Will and his team provided today. We are so happy that we chose Timbers Tree Care to carry out the work in our garden. We would without a doubt recommended Will to all of our friends and family. 5* RATING!!!!!!! © Copyright Timbers Tree Care 2019. All Rights Reserved.